I suppose I should begin with wishing you all an intrepid new year! I know we’re practically done with January already but I believe it’s (sometimes) better late than never, (and i think this is one of those times!). I had to put all wanderlust thoughts in a dark, forgotten locker at the back of my mind during the festive season, which is the “crunch time” of the travel industry. I pretty much worked throughout Christmas and New Years, so I don’t have any new travel stories for you, I was too busy arranging other peoples travel plans! I learnt this past December just how crazy the festive season can get, especially when you’re the tour operator instead of the tourist, but I still think the retail industry gets the worse bit of the festive madness. Fortunately, the festive season madness is finally over, and with things getting back to normal, I’m glad to be able to have my personal time back to do some blogging, and making my own travel plans! 2013 was a great year for travel, I visited loads of new places, on and off the continent, had some up close and personal experiences with nature and wildlife and tried a few new adventurous things too! 2014 is bound to be even better right? As much as I’m an outdoors’s girl at heart, I enjoy a great party now and again, especially a large one…. She know’s what I’m talking about ! After attending the Rift Valley Festival in August last year, (of which you can read my review here) I began to realize that there’s a growing number of awesome festivals happening in Africa that most people have no idea about! The festival culture is catching on quick in East Africa, and it’s about time if you ask me. With the perfect outdoor weather, beautiful diverse landscapes, colorful cultures and friendly easygoing people, East Africa has got amazing potential to host all sorts of festivals! Here’s my list of 14 festivals to attend in the year 2014, all happening in and around East Africa! Although this has already passed (I told you a lot’s been happening already!) It seems like one to look out for and mark on your social calendars next year! 4 adrenaline filled days of river races, water sports and partying. Aside from watching the pro’s in their element, doing all sorts of spins and flips on the waves, it’s a great opportunity to get your feet wet in one of the greatest rivers in the world. Although I didn’t manage to make it down there, I heard it was pretty awesome. A world music festival that’s making it’s 11th edition this February, with a line up of musician’s from all over the world. The name, ‘Sauti Za Busara’ means ‘Sound of Wisdom’ in Swahili, and like the name suggests, this seems to be a refined and culturally rich music festival, showcasing the best of African music from all over the continent! Based on the exotic Island of Zanzibar, it’s even made it on the National Geographic’s list of best 2014 trips (for those who have winters to escape). Like at most great festivals, theres plenty to do during the 4 days, such as: film screenings at an outdoor cinema, carnival parades, dhow races, jam sessions, and or learn a few new moves at dance lessons . Check out some reviews from last year’s festival here. I’m personally looking forward to this, having gotten into a dedicated yoga practice last year, I’m excited to meet, learn and practice with other yogi’s. This is going to be the 1st festival of its kind in the region. Based on the rustic island of Lamu, on the Mombasa Coast, these 4 days are going to be full of classes, workshops and sessions of all types of yoga, ranging from beginner to expert level, bazars, sunset dhow cruise, a Yogathon, and a full moon party to top it all off! Oh, and did I mention it all takes place on my birthday weekend! This is bound to be bliss! You know a party is epic when a crowd of strangers spontaneously start dancing in sync! When: 2014 dates to be announced but usually held at the end of August/beginning of September. 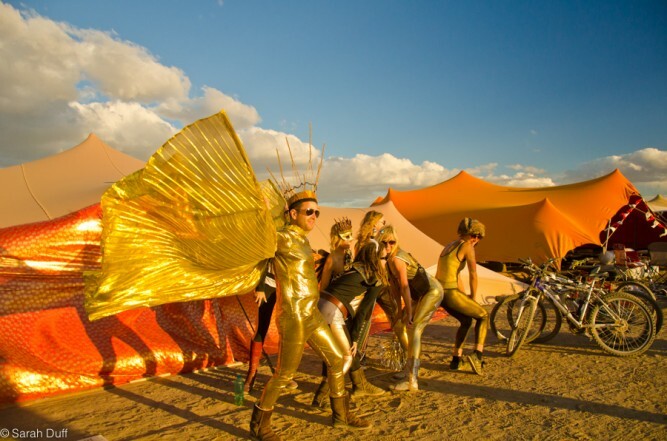 This is a campout style music festival, that features a variety of musicians, performing on 2 stages, and a Dance tent. The energy is amazing, and the crowd is as eclectic as the performances. Although it can get quite cold at night, especially in late August, once you start dancing, you almost forget you were huddled in a blanket a few minutes ago. With performances during the day and raves throughout the night, this is a 24hour party that goes on as long as you can endure. Lovely bottles of cheap, homegrown wine, mini crafts and stalls during the day and loads of adventurous day activities like cycling through Hells Gate National Park close by, this is an all out fun festival, one that I plan to attend regularly! I met this great events photographer, Paul Munene from Quaint Photography, and he’s captured some lovely moments (like the one featured above) from last years festival, you can check them out here! When: 19th to 21st September 2014. 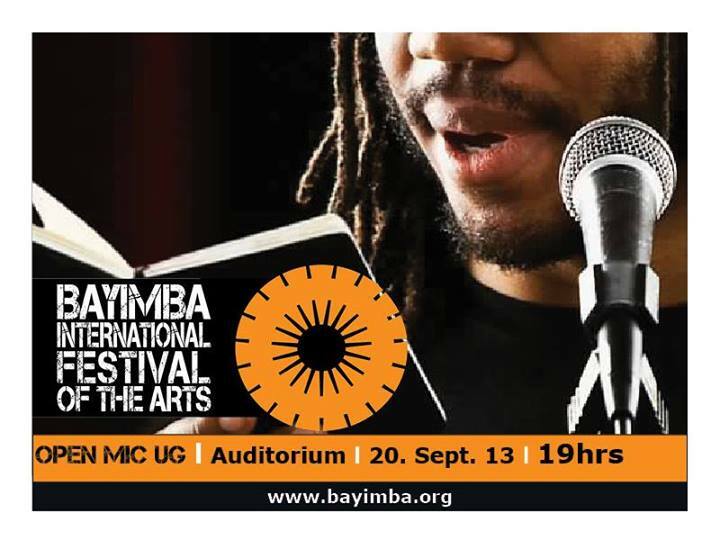 This is Uganda’s best arts festival. It’s actually an assortment of mini regional festivals through out the country, from Gulu in the north, Mbale in the East and Mbarara in the west, it gives an opportunity to everyone, especially those base up country, a chance to participate and attend in this celebration of the arts! The main festival is held in the capital city, Kampala, and lasts throughout the week. There is something for everyone; from music, dance, theatre, film, poetry, fashion and visual arts. It’s a diverse showcase of popular and upcoming performers as well as a platform for getting involved in creative work in a variety of workshops on offer to get your creative juices flowing. This widely attended festival is also a great place for meeting people, just check out Apenyo’s story on how Bayimba Festival 2014 changed her life! When: 2014 dates to be announced but it was schedualed for September last year. A literary festival, that brings together renown authors and aspiring writers, to share, discuss, teach and celebrate the art of literature in the region. 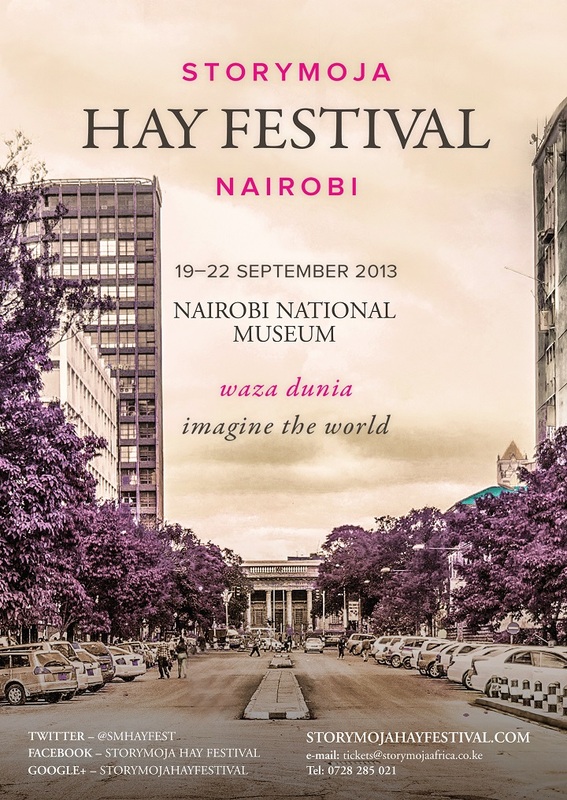 I first learnt about this festival from Mildred Apenyo, that writer chick (who also happens to be a fun travel buddy) , and although I can’t confidently call myself a writer, I do enjoy literature, after all, books have the ability to take you places your feet may never get a chance to wander. A good novel is a perfect way sedate the wandering soul when it starts to get restless. When: 2014 dates to be announced, but usually in May/June. This one day festival has a lot going on, with a different theme every year, it’s bound to be a different experience every time! Last year’s theme was ‘Open Studio’, which gave the public the opportunity to watch artists at work, and a chance to interact with them too! From beautiful pottery, psychadelic mixed media art work, funky kitenge hats and accessories, a makeshift tattoo parlor and loads of amazing music performances. When: 2014 dates and location to be announced, but Last year it was in July. This unique festival was organized as a fundraising event for Jali Sustainable, an NGO that supports sustainable livlihoods to the community of Jali Village, on Bussi Island on Lake Victoria. The theme of the festival was ‘celebrating Ugandan oral history in its various forms’ and featured a variety of interesting performances and workshops too. Having started last year, I hope there will be more editions to come in the future, perhaps this time hosted in Jali Village itself?! When: 2014 dates to be announces, but its usually at the end of the year, November/December. A cross country biking challenge, and although its not technically a festival, its a great annual weekend event thats bound to get bigger and better with time. (Hopefully with more bikes to rent at the place istead of having to bring your own). Aside from the race, theres usually discounts on outdoor activities like rock climbing and abseiling down the Sipi Waterfall, great hiking trails at the base of Mt. Elgon, and other biking trails that cater for all cycling abilities, if racing isn’t your thing. Oh, and did I mention they apparently have a pretty impressive Whisky collection at the Lodge. What started out as a concert for the talented Milege Afro-Jazz Band, has developed into a classy music festival, featuring upcoming musicians and bands that specialize in traditional Ugandan music, such as The West Nile Band, Saba Percussions and Qwela. It’s a celebration of the heritage and culture of traditional Ugandan music. This is a popular event for Jazz lovers not only in Uganda, but through out East Africa as well. A sophisticated Jazz, funk and soul concert, featuring an impressive lone up of various international Jazz musicians. When: 2014 dates to be announces, but its usualy at the end of the year, October/December. Incase you couldn’t get to Repainting Uagnda Music festival, here’s another similar event, but on a smaller more intimate scale. A grassroots music festival, featuring some of the most popular local musicians and bands, performing authentic traditional music from all over the country. This is a one evening only concert, but it’s held at a location easy to access within the city center. NuVo, which is an abbreviation for New Voices, a fresh new festival on the scene, having started last year. Its more of a series of day and evening events, such as plays, recitals and fashion nights, spread throughout a week, in various locations around Kampala, with the aim of highlighting social justice issues. Last years was about AIDS awareness, and it featured thought provoking, and heartfelt performances and interactive workshop sessions. NuVo provides a platform, a stage or space, not only for the artists, and musicians, but for the activists, humanitarians and passionate youth who have something worthwhile to share. When: 31st December 2014 – 1st January 2015. Organized by the same people who bring you the Rift Valley Festival, Hakuna Matata Festival is an all out end of year rave, one that promises to make up for all the festivals you may have missed throughout the year. Like most end of year parties, expect loads of live music, drinks, and dancing all night. Their theme, ‘Hakuna Matata’ which means No Worries in Swahili, is an appealing way to end the year. Africa’s version of Burning Man festival in the USA, this is more than an arts festival, its an extreme wilderness camping interactive creative experience, that’s listed on my bucketlist! Has anyone attended this before? It seems like the journey to prepare and actually get to the festival is a whole trip of its own! Can a person attend too many festivals? I guess I’ll find out this year! Do you know of or attend any other amazing festivals that take place in Africa (East, South or West) that you think I should add onto my list, or do you have a list of your own? Well, let me know! You intend to attend all of these? Eh. Wish I could but seeing as I have already missed the Jinja one, let me start saving for all the rest. I would need more than a jar to save up for that! I don’t need to attend them all in one year, besides they’re held annually. Its just nice to have a list to refer too when looking for ‘proggie’! right? Right. Great list though. Can I repost it on http://muwado.com? Great list! This makes me really sad that I’ve left Uganda.